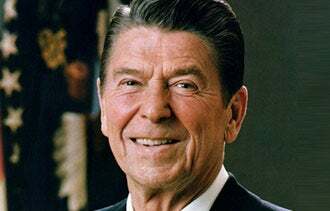 On President's Day, entrepreneurs might do well to reflect on what they can learn from our nation's greatest communicators. "The chief business of the modern presidency is persuasion – convincing people to do things they ought to do but don't necessarily want to do – which is not so different than an entrepreneur selling a product," says presidential historian Richard Norton Smith, former head of six presidential libraries and author of Thomas E. Dewey and His Times (Simon & Schuster, 1982), a finalist for the 1983 Pulitzer Prize. 1. Aim big, but be specific. 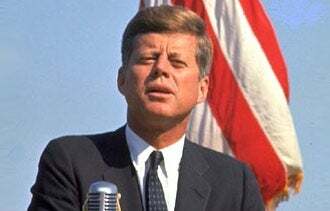 John F. Kennedy successfully transformed his goal of putting a man on the moon by the end of the 1960s from a "pie in the sky" idea to an attainable reality, according to Douglas Brinkley, author and professor of history at Rice University. "Kennedy had a good sales pitch – we can beat the Soviet Union; we can win – and it captured peoples' imaginations," Brinkley says. But it was the detailed, time-specific nature of his plan that gave politicians and the American people something to get behind. Lesson for entrepreneurs: Companies should ask themselves, "What's our moon shot?" and then back it up with a specific strategy and time frame, Brinkley says. "Think about what's big and bold and what your company can do, and get the word out. And a timeline is hugely important so it's more than empty promises." 2. Get out among the people. 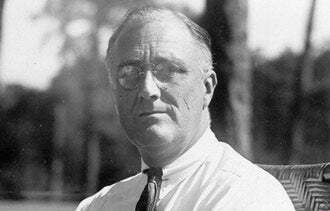 Franklin D. Roosevelt suffered from polio and spent summers receiving treatment at the Georgia Warm Springs Foundation, where he connected with some of the poorest Americans – the tenant farmers of the Great Depression. "FDR is a great example of a president who got out and listened to people," Brinkley says. "This is what shaped a lot of his New Deal ideas." Lesson for entrepreneurs: In this age of conference call and Skype meetings, it's easy for small-business owners and salespeople to lose the personal contact that's so important in building relationships. "For small-business owners, it's often about showing up and working your business into the fabric of the community," Brinkley says. 3. Tell your story well. "The best storytellers are the most rehearsed," says presidential historian Doug Wead, who served as special assistant to President George H.W. Bush and is the author of All the Presidents' Children: Triumph and Tragedy in the Lives of the First Families (Atria Books, 2003). 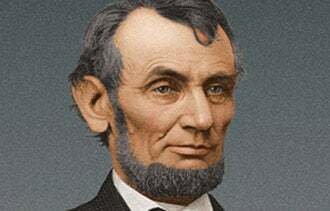 The story of Abraham Lincoln pacing in his train car rehearsing the Gettysburg Address is legendary. In his speeches and conversations, he also was able to quote long passages from the Bible, Aesop's fables and other books he owned as a child. Lesson for entrepreneurs: Lincoln's penchant for memorization served him well, whether he was addressing heads of state, cabinet members or the American people. "Knowing your sales pitch to the point where you can talk about it in your sleep and anticipate every question is a key to success in business as well," Wead says. 4. A memorable line goes a long way. "The only thing we have to fear is fear itself." "Ask not what your country can do for you. Ask what you can do for your country." There's nothing as effective as a straightforward but memorable message like those iconic lines from Franklin D. Roosevelt and John F. Kennedy, respectively. With such powerful rhetoric, both presidents stirred two generations to action. Lesson for entrepreneurs: "If I listen to a speech and can't repeat a line a president said, it didn't hit home," says Barbara Perry, senior fellow and presidential scholar at the University of Virginia's Miller Center. "The same can be said for a company's marketing campaign or sales presentation." She points to Wendy's "Where's the beef?" and Alka-Seltzer's "I can't believe I ate the whole thing" as examples of successful slogans that many people still remember. 5. Put a human face on things. 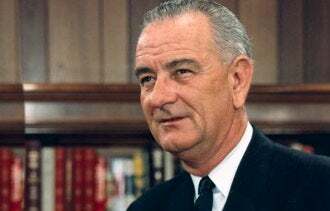 When Lyndon B. Johnson tried to sell his Great Society reforms to the American people, he used his own experience growing up in poverty to humanize the program. "Stories grounded in his Texas experience brought the statistics to life, and programs like Head Start took on a whole new dimension," Smith says. Lesson for entrepreneurs: Whether you're a president trying to sell a program or an entrepreneur trying to sell a product, talking about your own experiences can add life and depth to the presentation, Smith says. "You'll do a whole lot better if it connects with people emotionally first, and intellectually second." 6. There's no substitute for personality. 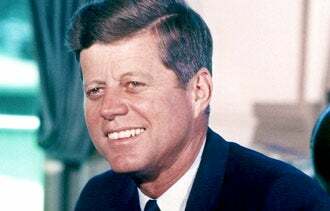 Whether it was Kennedy softening reporters with his easy humor or Ronald Reagan using his persuasive powers to push policies through Congress, their charisma were key to their success. "It doesn't matter what the message is – FDR's message of more government help was diametrically opposed to Reagan's philosophy of getting government off people's backs – as long as it's delivered with wit, charm and a sense of integrity," Perry says. Lesson for entrepreneurs: No matter what you're pitching, your personal appeal can be as important as quality and price in closing the sale. "In addition to selling their policies, these presidents were able to sell themselves," Perry says. "The same goes for entrepreneurs."